Journey through a comprehensive system of alignment that integrates body, mind, and heart with the esoteric and empowering teachings of tantra. Todd brings a wealth of knowledge and experience to a workshop that will teach you mastery of natural body biomechanics through the alignment essentials of Ashaya Yoga®, which blends precise therapeutic alignment with a spiritually uplifting philosophy drawn from the tantra yoga tradition. This method leaves you feeling strong, confident, peaceful, openhearted, and ready to engage with life wholeheartedly. 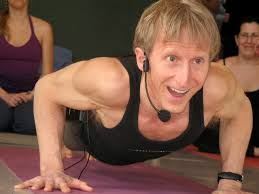 Todd Norian, E-RYT 500, teaches yoga with the heartfelt intention to awaken others to their inherent potential for unlimited joy, vitality, and fulfillment. Founder of Ashaya Yoga®, Todd’s style is one of precise therapeutic alignment infused with his passion for the esoteric teachings of tantra yoga. He excels at making deep philosophical teachings accessible and relatable. With warmth and humor, Todd creates a sanctuary of sublime transformation in which students step into the power of their own heart. Learn more at ashayayoga.com.